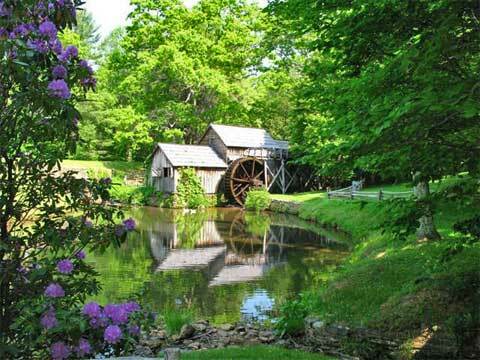 The mill is said to be the most photographed spot on the entire parkway, for good reason - it's very picturesque. Still a working mill too (just for tourists, though). 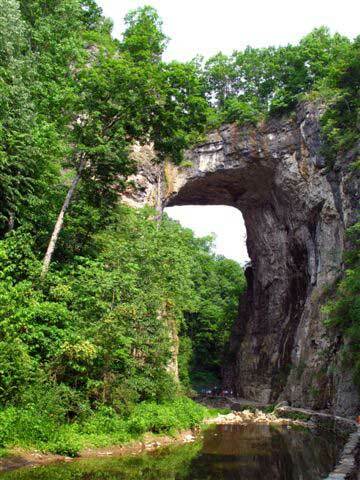 The Natural Bridge is 1 of the 7 Natural Wonders of the World. Some interesting Americana factoids about it: it was surveyed by George Washington when he was 18. 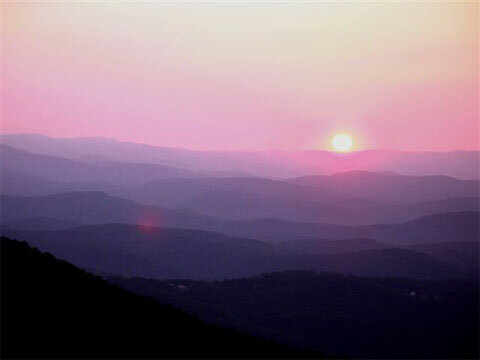 And Thomas Jefferson bought it from King George - on July 5, 1774. If he had waited less than 2 years he could have gotten it for free and saved himself the royal price of 20 shillings ($2.40). The bridge today is an actual bridge, for a state highway. If you look closely in the background, you can see some little munchkin people, which gives you an idea of its height (higher than Niagara Falls).